This might sound strange. But today I want to recommend an audio app -- more specifically a sleep audio app -- to writers. It's called Relax Melodies, and it's available on both Android and iOS devices. I've been struggling with insomnia recently, working and sleeping rather odd hours. Sleep has been difficult to come by lately, but when I do sleep, this app usually plays a role. In the past, I'd had luck with fans, white noise, nature sounds, and peaceful music to help me sleep. This app combines all of those things. Other than being convenient, I honestly didn't expect it to be anything special. Yet, it was. The difference between this app and most others is the fact that you can choose a wide variety of sounds and even group them together for your own custom "blend." For example, you can put together a basic combination like rain and thunder. Or you could do something more complex such as combining "seaside," whale songs, and seagulls. It's this feature that makes the Relax Melodies app a potentially awesome tool for writers, even beyond helping you get a better night's sleep. Here are two ways I've recently started using the Relax Melodies app to help me with my writing. One of the most recent things I started doing with this app is using it to "get inside" my stories when I write fiction. It's especially helpful when outlining something short. For example, let's say you wanted to write a story about a little boy who goes camping for the first time. You might combine sounds like "night," owls, and rustling leaves. Close your eyes. Listen to the kinds of things your character would be hearing on his first night camping, and try to imagine how it would make him feel. When I listen to that combination, for example, I can completely understand how a kid might get creeped out the first time they're surrounded by all these nighttime sounds, no matter how innocent they might be. In other words, sounds are an important part of a story's setting. And while we can experience them in-person in many cases, we can't take those sounds with us. But with an app like Relax Melodies, we can. 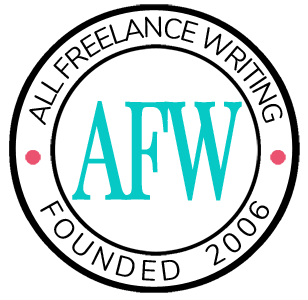 The other way this app can help your writing -- or at least a way it's started to help me -- is by helping you tune out distractions that prevent you from finishing your book, your next freelance writing project, or your next blog post. In this case, you can use something as simple as the white noise setting. You could also listen to your favorite nature sounds. I work best on quiet rainy days, and I love listening to the rain when I work. So that's perfect for me. You might prefer listening to a roaring fire, the sound of a train that reminds you of your old commute, ambient noise from the city, or even one of the musical loops. Use the app at home. Or take it with you on your smartphone or tablet, such as to the neighborhood cafe where you like to work. Pop in headphones and use it to block out some of the noise around you or just enjoy a change for the day. Or if you like the noise of a public place, but you're stuck working at home, the app has you covered for that too. Give Relax Melodies a try. It's a neat app that's great for sleeping, meditating, unwinding, blocking out distractions, and even helping you get inside your stories. What's not to love? While there are plenty of sounds available in the free version of the app, upgrading for just $2.99 unlocks even more options. 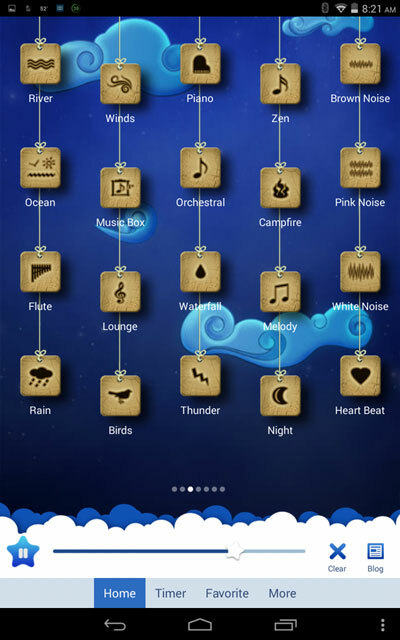 I've used a lot of sleep and nature sound apps, plus standalone sound machines, over the years. And the Relax Melodies app is the best I've tried by far. Get it today for your Android or iOS device. Very interesting! I’m going to give this a try. I could definitely use the background noise as I work, but music is often too distracting for me. I’ll try this! It’s a good way to add variety to Mozart and Pachelbel. Jenn, I really like this concept. I use a fan for white noise, and so far it works well. However, it’s not always convenient for traveling, and I like that the app has so many possibilities. That it does. 🙂 Hopefully they’ll continue to grow that list, either through the main app or other specialized apps. I’d love to see someone create something like this specifically for writers with even more setting-related sounds that we could mix together and take with us to “get inside” our stories a bit more. That would rock for fiction at least. But the white noise and nature sounds are fantastic for any kind of writing. I have a feeling I’ll be depending on it even more as I get a better handle on the sound combos.